Welcome to Shop! Retail Decoded, an informational Podcast featuring leading retailers & designers and moderated by Jo Rossman, publisher & editor of Shop! 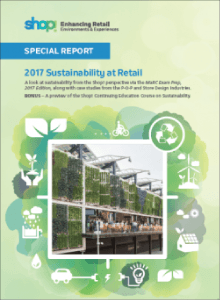 Retail Environments magazine. Each episode in the series will address the latest trends and industry information. Retail Decoded is now available on Spotify. Neuroplasticity is holding many brick & mortar retailers back from truly competing with giants like Amazon. This episode of Retail Decoded explores the future of the in-store experience, including strategies to counter neuroplasticity, which starts with pinpointing your store’s flywheel. Several members of the Shop! Creative Council are joined by Chris Walton, CEO and founder of Red Archer Retail. Chris spoke on this topic at our recent Shop!X event, and now, we’ll explore that perspective further. 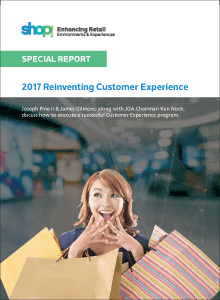 Emotions are a key part of all stages of the retailing experience, and retailers have to not only understand and predict customers’ emotions but also shape retail environments to cultivate desired emotions and eliminate undesired ones. In the second part of this podcast, our panel continues to explore the human side of retail and see if we can’t decode how to fulfill the tall order of emotional retailing. With technology dominating retail discourse, you might wonder if retailing is being reduced to algorithms and lines of code. In this episode, retail executive Chuck Luckenbill joins Shop’s Retail Roundtable to challenge this notion, and explore how human emotion remains essential to both physical and electronic retail success. 120 years ago, everything was personal & custom crafted. Then, the technology of the day enabled mass manufacturing and standardization. Ironically, the same force that all but eliminated handcraft and uniqueness will enable super-customization. What’s more, a creative class has re-emerged and a wave of co-creation is gaining momentum. In this episode, retail executive Heidi Demers joins the Shop! Retail Roundtable in discussing where this trend will lead us. Without a doubt, effective retail design can have a tangible and far-reaching impact on a business. In this episode of Retail Decoded we ask our experts Jean Paul Morresi creative lead and partner at Watt International Inc. and Heidi DeMers, Corp Manager of Store Design at The Kroger Company on what every retailer should consider when designing a new store or updating their existing retail concepts. This episode of Retail Decoded explores Continuous Adaptation in retail environments. Bergmeyer Associates and TD Bank experts discuss moving from a store of the future to continuous adaptation, the evolution of the bank’s goals to stay ahead of customer needs, TD’s cycle of continuous adaption/improvement, sustainability and wellness, and lessons learned from their experiences. 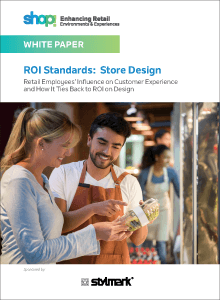 Learn how to make better use of data analytics and strategically use cutting- edge technology to humanize the retail experience. Join Jean-Pierre Lacroix, president and founder of Toronto-based design agency Shikatani Lacroix, as he walks you through ways to use AI, data, and technology to empower staff and create emotional connections with consumers.